Looking for ideas to work on scissor skills? 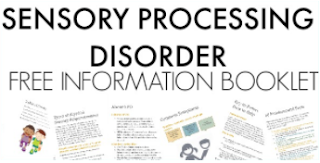 Do you need a quick craft idea to add to your therapy line up to address skills like scissor use, bilateral coordination, hand strength, or visual motor skills? 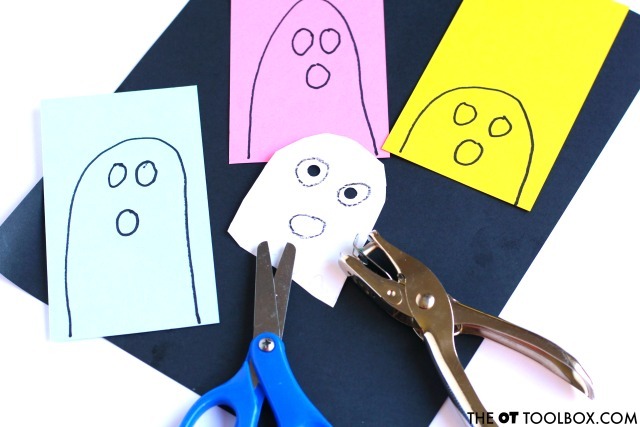 This Ghost Craft is a fun Halloween craft idea that kids can do while boosting the skills they need for scissor skills and other fine motor skills. Use this ghost craft idea to work on occupational therapy activities and OT goal areas in a fun and festive way, perfect for Fall activities and ghost theme therapy ideas! 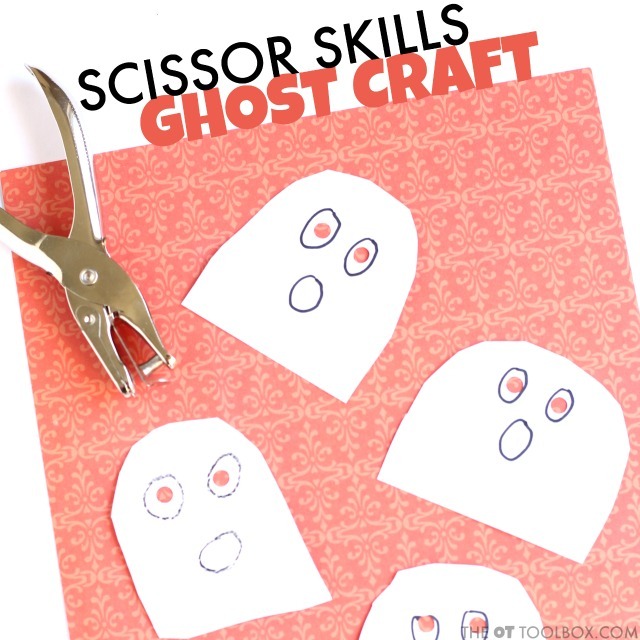 Here is another quick and fun ghost craft that will boost those fine motor skills. 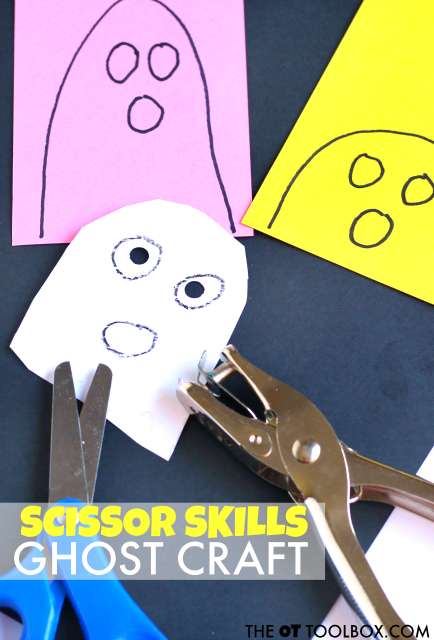 This scissor skills craft is an easy craft to set up and one that you can pull together in in no time, making it a nice craft for on-the-go school based OTs looking for a ghost themed craft that addresses OT goal areas. 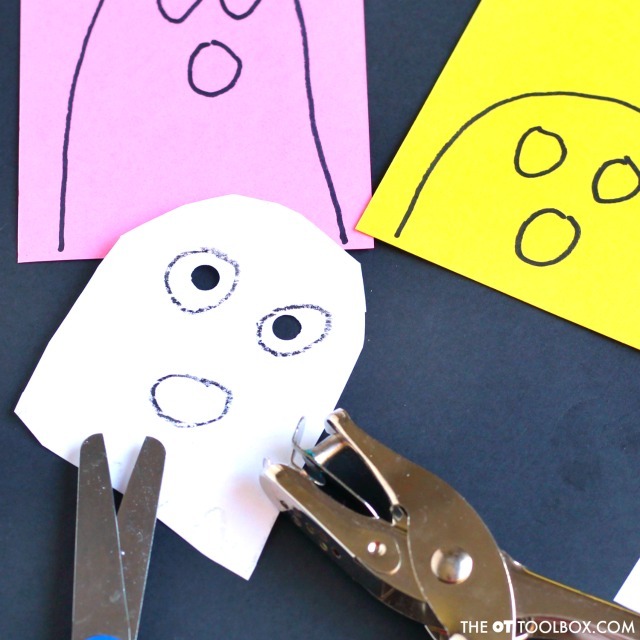 Kiddos will love this ghost craft as it's a cute craft idea that is motivating. 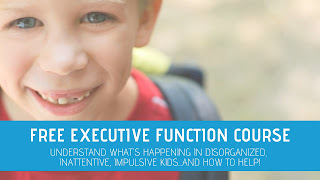 In fact, kids won't even realize they are working on skills like hand strength, separation of the sides of the hand, arch development, scissor use, or bilateral coordination. Here are more bilateral coordination activities that you can try. Hole Punch Here is a reduced effort hole punch, perfect for kids or those working on building hand strength. 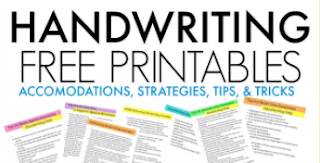 First, it's important to talk about where to start with know what a child can benefit from when it comes to paper type (construction paper, printer paper, cardstock, and other paper types all play important parts in addressing needs in scissor skills. Read about the various paper choices in addressing scissor skills in our scissor skills crash course. In that crash course, you'll also find information related to line thickness when it comes to teaching kids to move through the stages of scissor skills. 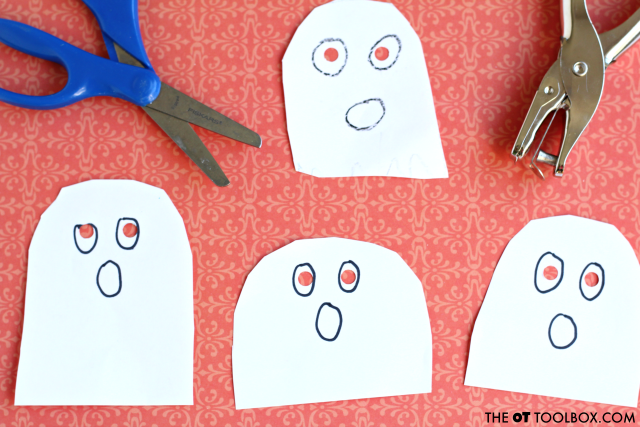 To make this ghost craft (and boost those scissor skills), simply draw a semi circle on the edge of a piece of paper. 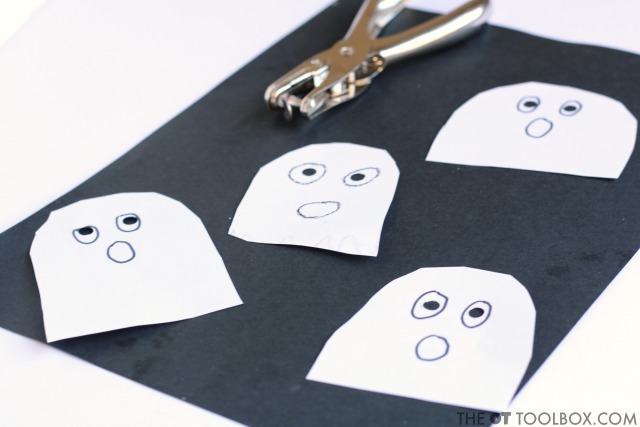 Ask kids to cut out out the ghost craft along the curved line. You can draw visual cues on the paper to cue kids on where to hold the paper as they turn the paper while cutting. Next, draw or ask the child to draw circles for the mouth and two eyes. They can then use the hole punch to punch holes inside the circles of the eyes and mouth. 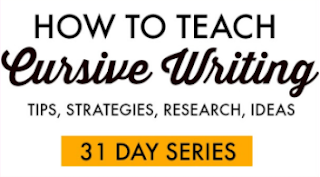 Use lighter or heavier paper grades. Some ideas are tissue paper, newspaper, wrapping paper, paper towels, or coffee filters to make the craft more difficult. 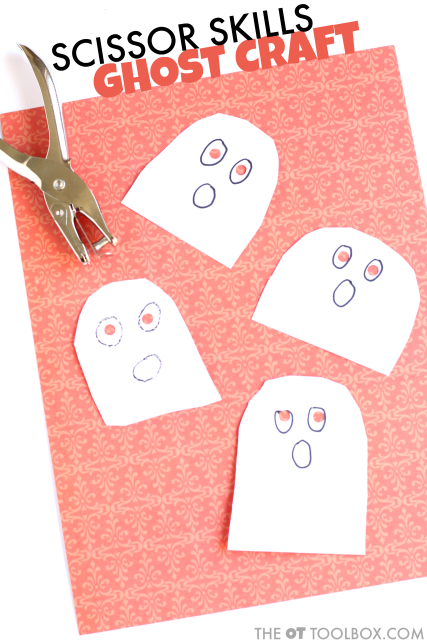 Some ideas to make the ghost craft easier include cardstock, manilla folders, poster board, or thin cardboard. Add more details to the ghost craft such as a bottom that the child needs to cut along a 90 degree angle to cut the bottom of the ghost. Add a wavy line to the bottom to require more details and scissor movement. Make larger or smaller ghosts.